I have been waiting for my hair to grow out so I could finally braid it... Now that it's four or five inches past my shoulders, I feel like I'm able to start wearing them. It's a great feeling to have my long hair back! 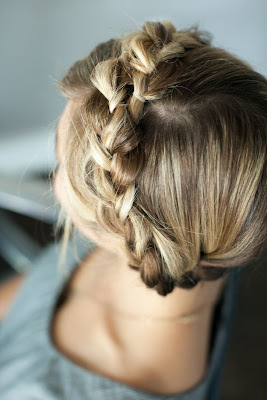 This simple braid has me swooning. I love that half of her hair is pulled back and the braid is adorning the back of her head. Simply gorgeous. I need to try this one out first. 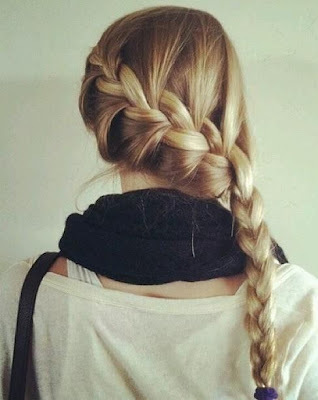 My braid wouldn't be this long, but it would still be a cute length. Part of me wishes, I could press a button and my hair would grow several inches. That would be the life! 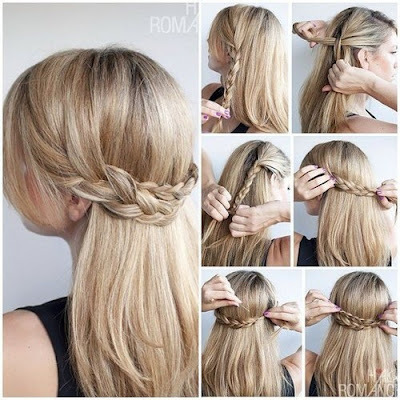 I know my hair is long enough to do this crown braid. I'm nervous to try it. I know that Emily from Cupcakes and Cashmere tried it out on her blog so I'm kind of dying to do it soon. ha What do you think of the braided crown?